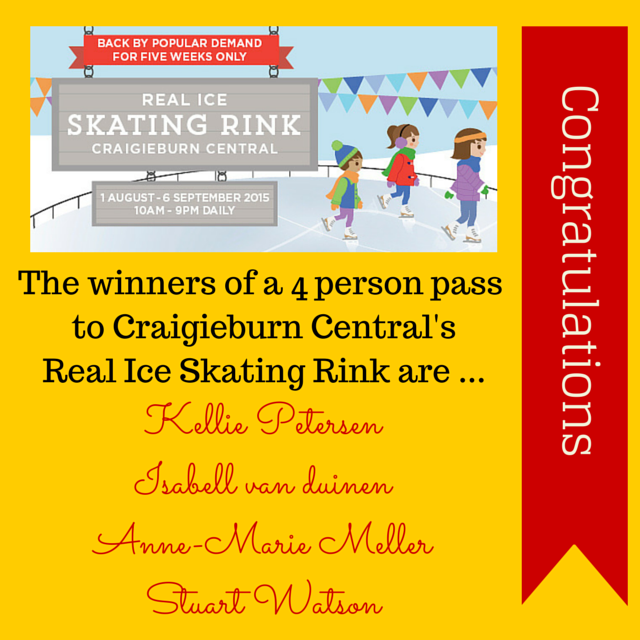 It seems that you are all excited to hit the ice at Craigieburn Central’s Real Ice Skating Rink! Thank you to everyone who entered our giveaway! Congratulations to our four lucky winners … it’s time to get your skates on! Kellie, Isabell, Anne-Marie and Stuart please keep an eye out for an email from us to confirm your delivery address so we can get your pass out to you as soon as possible!